Going on holiday with the kids can be tricky, especially when you have children of different ages. But have no fear, the Channel Islands has it all. Located in the English Channel, off the French coast of Normandy, the Channel Islands have over 5000 years of rich heritage and history, perfect for a trip that is both fun and educational. The islands are made up of Jersey, Guernsey, Alderney, Sark, Herm and several uninhabited islets. On all of the islands you’ll find stunning scenery, varied activities and wonderful food, including mouth-watering seafood. Here’s a list of some of the best things to do with the kids during your stay on the Channel Islands. You’re the king of the castle! Castle Cornet in Guernsey is a stunning ancient harbour fortress containing museums, living history and the Hatton Gallery that displays local artwork. 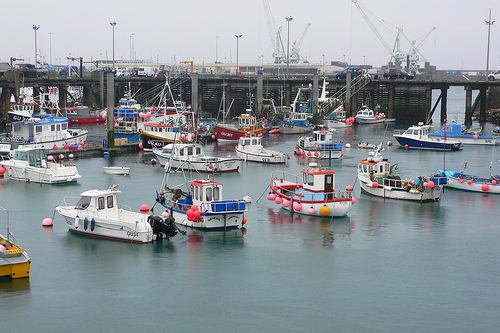 You and the kids can discover Guernsey’s maritime, militia and social history, making it a really worthwhile day out. The castle also has an onsite café, Café Lambert, that serves light meals and tasty treats. If your kids love castles then Elizabeth Castle on Jersey is also well worth a visit. You can climb the battlements, explore the turrets and learn about Jersey’s history. The Alderney Railway is the only working railway in the Channel Islands and its first official passengers were Queen Victoria and Prince Albert in 1850. The train runs along a 2 mile coastal route on most Sundays and also opens for an Easter and Santa special where children will receive a small present when they visit. Durrell Wildlife Conservation Trust is a highly ethical and significant enterprise boasting a great range of endangered wildlife. Conservation is a serious business but small children will have great fun and it’s a valuable learning experience for older children. The Jersey Bowl and Kid’s Zone has 18 top standard bowling lanes, a multi-level indoor children’s play area and a laser tag room. Perfect for keeping the kids busy on those cold or rainy days! Family holidays can be expensive, especially when you add on all the treats, activities and souvenirs, but with BeatTheBrochure prices you won’t have to worry. So go on, treat yourself to an extra ice cream!